Part of being mindful of what you eat means not indulging in traditional breakfasts. The problem with this for me is that I love breakfast foods. A hot breakfast also qualifies as "comfort food" for me. So, every once-in-a-while, I fix what we call in my family an "Upside Down Dinner". 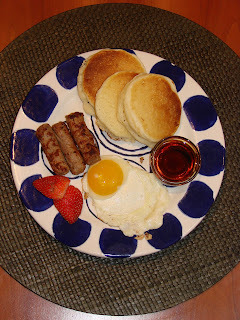 Ideally it has to have sausage or bacon, pancakes and eggs. Saturday night was one of those nights. I had been at a board retreat all day which was a couple hours drive to get there and get back. I was booped and in no mood for fixing our planned dinner. It was time for an Upside Down Dinner. 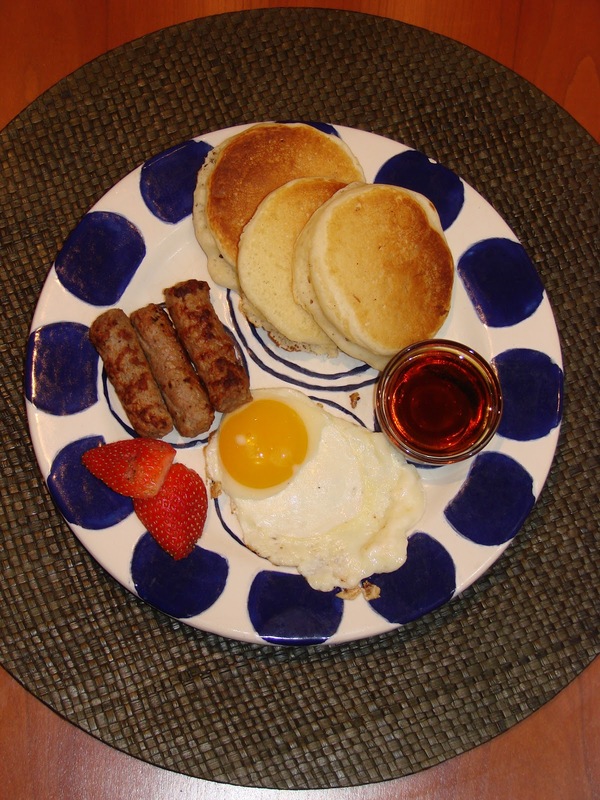 I fixed turkey link sausage (I keep it in my freezer), sunny-side up eggs, Bisquick Heart Healthy pancakes and added real maple syrup. I figured out the appropriate quantities so I ended up with a meal for 470 calories.